Playing Sea of Thieves feels a bit like working in a theater before the set has been completely built. There’s plenty of space to goof around and a few swords in the wings to have mock fights with, but none of its quite ready for show time. A lack of features and polish has frustrated some players, but those willing to meet the game halfway will discover a game that’s exciting and pensive in equal measure. Sea of Thieves is as fickle and changeable as the sea itself. Sailing with a crew is a great experience, betrayals and battles abound, and those sunsets are gorgeous. The game still feels like beta, it's less accessible to solo players, and activity variety is poor. Upwards of 30 hours sailing the seas with friends and by my lonesome. Sea of Thieves’ biggest problems are practical ones that interfere with the ability to reliably return to the ocean. Poor server stability means that players rubberband on the deck of their ships or miss out on turning in loot when servers crash. The inability to easily manage your friends list in-game or set up a crew means the player will be forced to rely on Microsoft’s atrocious Xbox desktop app or the clumsy Xbox One interface in order to organize a party. 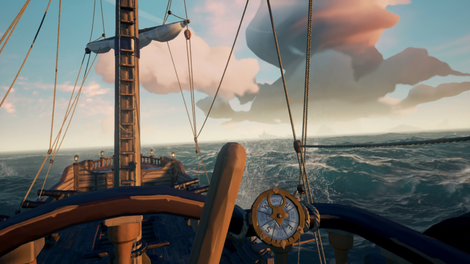 At launch, Sea of Thieves is a game that feels almost hostile to the idea of someone playing it, disconnecting players at random and summoning up as many error codes as krakens. It fundamentally undermines things, and the game won’t truly shine until the seas are stable and organizing play sessions is less of a hassle. Much has been made of the fact that Sea of Thieves feels like a beta with the price tag of a finished game. For all of the beauty and excitement, it’s hard not to feel like there could be a great deal more. 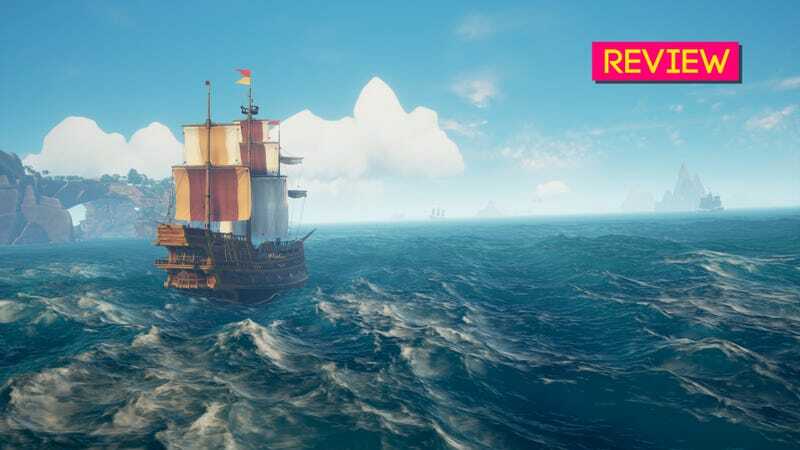 Sea of Thieves feels doomed to speculation about the mathematically correct amount of content per dollars players spend. In a Steam discussion thread on Her Story in 2015 someone asked what they were supposed to do in the game. One person replied that they needed to decide when they were satisfied with the information they’d discovered. The original poster asked in response, “How do I decide when I am satisfied?” Sea of Thieves invites that question with each new voyage, but it never manages to provide answers. I’m not entirely sure if it needs to. You just keep sailing until you find what you’re looking for.